Plateaus can be common on any diet, even Keto. Our bodies are very efficient machines that adjust to the changes thrown at it. Over time, your body may adjust to your Keto Diet strategy and cause a plateau. This is nothing to get worried about. Here are a couple things you can do to help push through this plateau. Cut Dairy- dairy can promote inflammation and raise total carb intake. Cutting dairy is often one of the best strategies for pushing through a plateau. Assess Carbs- count your total carbs to make sure that your carb intake isn’t creeping higher on you. Check on Calories- If you have not been tracking, you may be overeating calories. Calories are not the most important factor but they do play a role. 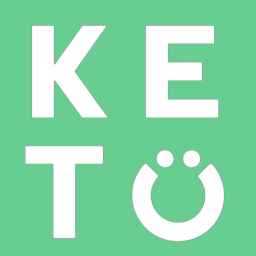 Try Lowering Fat- as you get adapted to Keto, you may find that slightly lowering your fat intake could increase your bodies reliance on burning stored body fat for fuel. Exercise- If you are not exercising, starting can really jump start your progress. If you have been exercising, try switching up your training and try something new to help stimulate the body to change.